Please kindly use one of the following internet browsers. Please DO NOT use these browsers. Once you are using one of the supported browsers. Please kindly click on the image to the left to view the PDF. We have created this form that you are able to complete online. Once you are finished filling out the form. Please hit the print icon located at the top of the browser window. Please see image below for reference. Once the print icon is selected, please select the printer you would like to send it to. If there is no printer icon, go to File > Print. 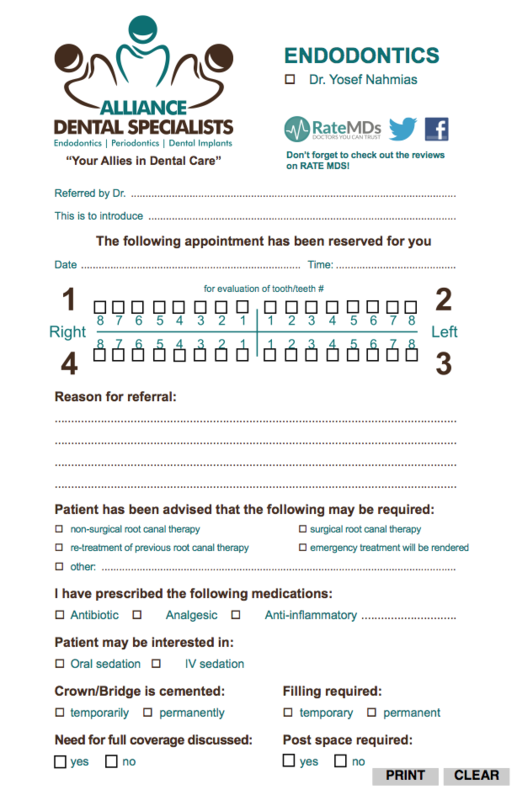 If you do not have access to a printer, please save the file to your computer and email us a copy of the filled out Referral Form. Please email endo@allianceds.com.